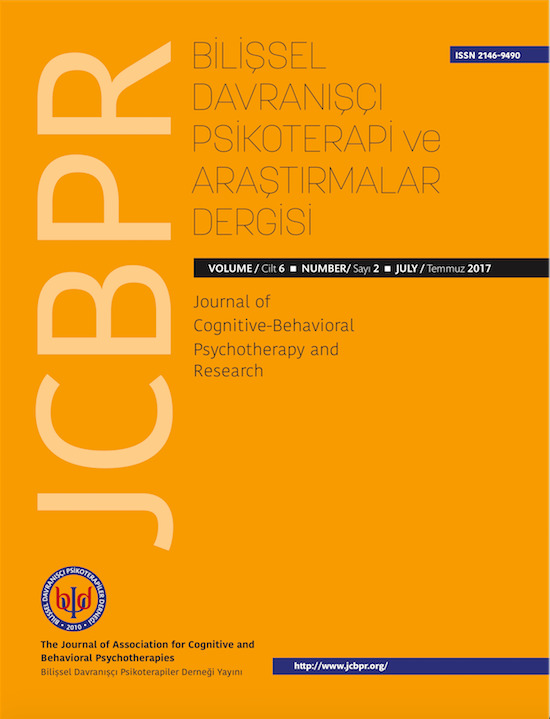 Journal of Cognitive Behavioral Psychotherapy and Research (JCBPR) is devoted to the application of behavioural and cognitive sciences to psychiatry, clinical psychology and psychotherapy. The journal aims to publish state-of-the-art scientific articles within: psychopathology; behavioural medicine; assessment; treatment; theoretical issues pertinent to cognitive, behavioural and combined cognitive behavioural therapies. JCBPR is also aiming to be able to maintain a rapid publication schedule, providing readers with the latest research in the field. The articles in Journal of Cognitive-Behavioral Psychotherapy and Research are open access articles licensed under the terms of the Creative Commons Attribution Non-Commercial License (http://creativecommons.org/licenses/by-nc-sa/3.0/) which permits unrestricted, non-commercial use, distribution and reproduction in any medium, provided the work is properly cited. Copyright © 2019 Journal of Cognitive-Behavioral Psychotherapy and Research All Rights Reserved. Subject to change without notice from or liability to Journal of Cognitive-Behavioral Psychotherapy and Research.